On Sunday, the Catholic Church canonized Pope John Paul II. Given my love for quotes I spent the day reading his teaching and came across this gem. Times have changed yet adversity, bias, injustice and many other stigmas prevail. While faiths and political opinions differ, the fact is we are humans. 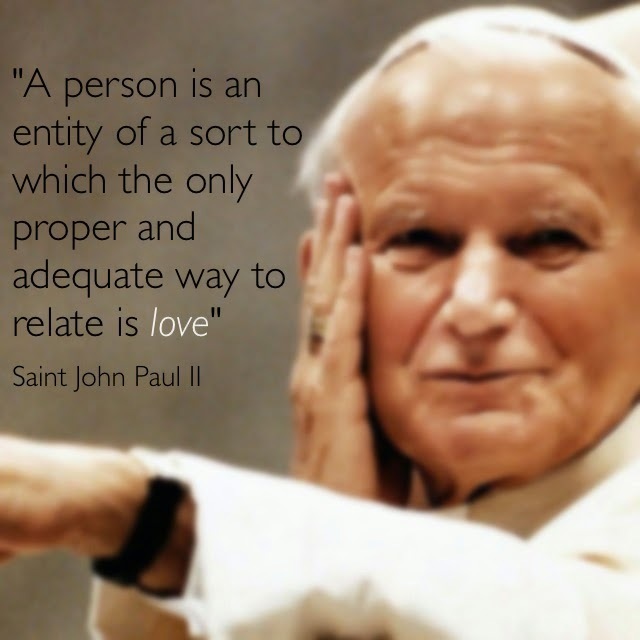 Thus, from time to time, it may be wise to remind ourselves and reflect on St. John Paul II's words here regarding humanity.